ast month, the City of Denver hosted XPONENTIAL, the annual conference and trade show of the Association for Unmanned Vehicle Systems International (AUVSI). AUVSI is the nation’s largest industry association dedicated to unmanned systems and robotics, and the conference drew roughly 8,500 attendees from the defense and commercial sectors. Although AUVSI represents all manner of unmanned and autonomous systems, much of its membership is focused on unmanned aircraft systems (UAS or “drones”). As such, these aircraft and the technology that makes them work are XPONENTIAL’s marquis attraction. Although the term “drones” may evoke remotely operated tools of war, the use of non-military drones in the United States is increasing, well, exponentially as small UAS technology continues to advance. Drones are increasingly used in public safety applications such as search and rescue, and monitoring of natural disasters such as wildfires or the aftermath of hurricanes and floods. 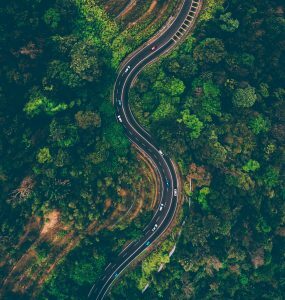 Filmmakers and news gatherers are using drones to get breathtaking shots of the world around us. Drones are being used for all manner of inspection and monitoring of critical infrastructure such as railroads and cell towers, where sending a person to do the job would be expensive or even dangerous. Of course, package delivery continues to get headlines, but companies also envision using drones for other innovative purposes such as temporary cell sites, mobile defibrillators and even aerial taxi service. And these are only a few of the myriad applications that have emerged in recent years. The enormous potential of drones to transform modern society was front and center at this year’s XPONENTIAL, making Denver — a city increasingly known for its own vibrant startup culture — the perfect place to host the conference. The showroom floor at the Convention Center boasted numerous technologies designed to advance the unmanned systems industry, such as PrecisionHawk’s newly-debuted beyond visual line of sight (BVLOS) drone platform, various package delivery systems and safety equipment such as automatic UAS parachutes. Drones companies did live demonstrations on the roof of the Convention Center parking lot, and a giant cage inside the showroom featured drone racing. The conference also included a comprehensive educational program with keynote speeches, panels, presentations, and roundtable discussions focused on technological and policy issues facing the unmanned systems industry. Prominent local speakers included Governor Hickenlooper and Fort Collins mayor Wade Troxell. As with any new technology, the proliferation of drones in the United States has created a wide range of fascinating issues for regulators and policy makers around the country. Drone development presents a special challenge on this front because it requires integrating the disruptive start-up culture with the federal airspace — traditionally one of the most tightly (and conservatively) regulated areas in the country. Some of the key issues for lawyers are discussed in more detail below. Section 333 and the Introduction of Commercial UAS into the National Airspace. The Federal Aviation Administration (FAA) (previously the Federal Aviation Agency) has been responsible for the safe navigation of our nation’s airspace since 1958, when Congress passed the Federal Aviation Act in response to a series of high profile airplane collisions and accidents. In that role, the FAA has promulgated thousands of regulations and established numerous certification procedures and other regulatory processes to ensure the safety of the airspace and the aircraft that use it. But the scale and scope of FAA regulations, and their focus on manned aviation, meant that drones were initially largely unable to legally fly in the United States. In 2012, Congress passed the FAA Modernization and Reform Act (FMRA), which directed the Secretary of Transportation to “develop a comprehensive plan to safely accelerate the integration of civil [UAS] into the national airspace system” and complete a rulemaking to enable the civil operation of UAS. Section 333 of the FMRA directed the Secretary to “determine if certain [UAS] may operate safely in the national airspace system” before implementation of the plan and rulemaking. Consistent with these mandates, the FAA first took a case-by-case approach for commercial UAS integration, enabling entities to submit petitions (“Section 333 petitions”) to the agency for relief from regulations and requirements to enable the operation of UAS. The Section 333 petition process had its drawbacks: first, it was labor intensive for the FAA, resulting in long wait times. Further, the regulatory relief was based on the specifications provided by the applicant: wanting to use a different drone or expand to a new operating area required an amendment (and another several-month waiting period). And the relief the FAA was willing to grant was limited. For instance, early Section 333 grants prohibited UAS from operating above private property without express permission of the property owner. Similarly, UAS operators were required to have a pilot’s license from the FAA. Because there was no UAS license, the pilot had to be certificated in some type of manned aircraft, just to fly a five-pound quad copter. Despite its disadvantages, the Section 333 process enabled more than a thousand UAS operators to access the airspace for a wide variety of commercial applications. These early efforts helped gather critical safety and usage data, and allowed regulators to better understand the challenges and opportunities offered by drones. But it was clear that for the industry to take off, the FAA would need to meet the other aspect of its mandate and enable commercial UAS operations in a blanket fashion. The FAA did just that when it adopted its Part 107 regulations in June 2016. Taking just a year from Notice of Proposed Rulemaking (NPRM) to Final Rule (which is quite fast in regulatory terms), Part 107 enables routine (though limited) UAS operations without the need for advance FAA authorization. Part 107 permits the operation of small (below 55 pound) UAS as long as the operator complies with a series of conditions and limitations such as speed limits, minimum visibility requirements, prohibitions on flights over people and BVLOS, and restrictions on the simultaneous operation of multiple UAS, to name a few. 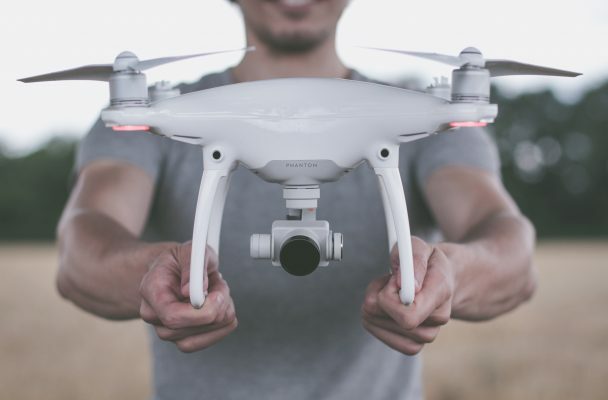 The FAA also tackled its pilot certification problem, creating a new remote pilot certification that is more appropriately tailored to the knowledge, skills and level of experience required to fly drones. To enable operations that go beyond the restrictions in Part 107, the FAA established a streamlined process for granting waivers from the regulations. Entities can use an online form to request a waiver of most Part 107 restrictions, which the FAA will grant if it finds that the applicant has sufficiently demonstrated that its operations will achieve an equivalent level of safety as that which is guaranteed by the rule(s) from which waiver is sought. For non-waivable rules (such as operations of UAS weighing more than 55 pounds), the Section 333 process continues to be available. Like the Section 333 petition process before it, Part 107 was a huge step for the UAS industry, enabling a more broad-based introduction of UAS into the national airspace. However, the FAA’s plan for full UAS integration involves a series of incremental rulemakings to allow expanded operations, including flights over people, BVLOS and high-altitude operations. Although the FAA was prepared to move forward with this plan with an NPRM on flights over people in January 2017, concerns from the security community delayed the proceeding. The FAA agreed with these stakeholders that standards for the remote identification (“Remote ID”) and tracking of drones in flight were essential to future UAS integration, and that a rulemaking on Remote ID was necessary before any further rulemakings could be completed. Given the bottleneck caused by Remote ID and the delays caused by the FAA’s decision to address safety and security concerns of relevant stakeholders, the FAA pivoted in its messaging to the industry. At its March 2018 UAS Symposium, the FAA’s annual conference on UAS issues, using the tagline “Open for Business,” the FAA urged the industry to approach the agency and seek waivers and exemptions for non-routine and expanded UAS operations. Just two short months after that conference, the Department of Transportation (DOT) announced that it sent two UAS-related rulemakings to the Office of Management and Budget (OMB) for review: the long-awaited flights over people NPRM as well as an advance NPRM (ANPRM) on “Safe and Secure Operations of Small Unmanned Aircraft Systems.” At least one of these proceedings is expected to tee up Remote ID, although the FAA has not changed its position that rules on Remote ID (and thus, likely, another NRPM) are necessary before the agency will issue rules on expanded operations such as flights over people. UAS traffic management, medical device delivery, infrastructure inspection, search and rescue and emergency response, and nighttime operations. Despite all the progress the Executive Branch has made integrating UAS into the national airspace, at least one issue will require Congressional involvement: the hobbyist exemption contained in Section 336 of the FMRA. While drones may seem like an entirely recent phenomenon, hobbyists have been flying radio controlled airplanes for decades. Section 336 was meant to protect these hobbyists from onerous regulations targeted at new drone users, and as such it forbids the FAA from enacting any regulations that apply to model aircraft. The provision was intended only to apply to recreational or hobbyist drone users that meet certain requirements, including that the aircraft be “operated in accordance with a community-based set of safety guidelines and within the programming of a nationwide community-based organization.” The only organization that qualifies is the Academy of Model Aeronautics (AMA), a longstanding organization that has been establishing model aircraft guidelines for decades. There are two major issues with how the exemption has worked in practice: first, Section 336 has been popularly perceived as a carve out for all recreational UAS operators, even though the AMA’s membership is only 195,000, far short of the millions of hobbyists flying drones recreationally today. Although some non-members may be aware of and follow AMA guidelines, it’s more likely that most are not and do not, which means that millions of drones are operating outside of the law. The second problem is that as long as any drones are exempt from the FAA’s regulatory purview, the agency will be unable to impose comprehensive requirements necessary to address safety and security concerns surrounding UAS integration. For instance, Remote ID only works if law enforcement can identify any rogue drone, not just those that fall under Part 107. It is clear that the fix will need to be legislative, as the FAA has already tried to regulate hobbyists to no avail. 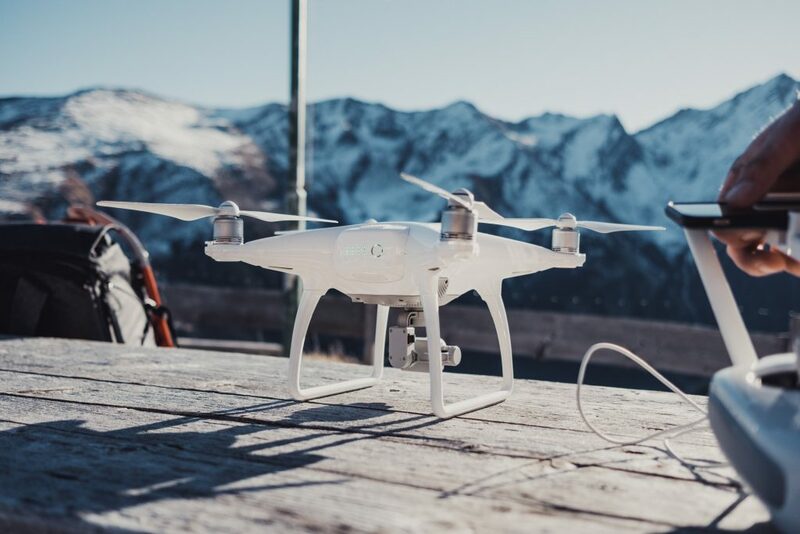 In December 2015, the FAA published an “interim final rule” creating an online registration process for all owners of small UAS, including those flown for hobbyist or recreational purposes. A hobbyist challenged the rule, arguing that Section 336 prohibited a registration requirement for recreational drone users. The D.C. Circuit Court of Appeals agreed, rejecting the FAA’s authority to compel model aircraft operators to register and vacating the interim final rule as applied to such operators. In response to the D.C. Circuit’s decision (Taylor v. Huerta), Congress passed legislation applying the registration requirements to hobbyists, but did so in a way that merely reinstated the FAA’s rules and did not give the FAA any additional authority. This means that to apply Remote ID and other safety and security requirements to hobbyist users, Section 336 will need to be revised or repealed. Congress is currently in the process of passing legislation to reauthorize the FAA through 2023. The reauthorization bill passed by the House last month, H.R. 4, contains two amendments with competing visions for how to deal with Section 336. One amendment would clarify and tighten the modeler exemption, and require the FAA to create additional rules for “recreational UAS” — a category distinct from model aircraft. While this amendment expands the scope of the FAA’s authority to impose new requirements on model aircraft with BVLOS capabilities, it would continue to bar anything beyond registration for other model aircraft. A separate amendment would also tighten the scope of the model aircraft rule, but would give the FAA general authority to adopt regulations that are “generally applicable to unmanned aircraft,” including Remote ID and any “other standards” that are consistent with maintaining “safety and security” of the airspace — and it doesn’t create the third “recreational UAS” category. This latter amendment thus would give the agency authority to impose certain regulations on all UAS, regardless of Section 336. The fate of Section 336 remains undecided at time of publication, as the Senate is still considering its version of the re-authorization bill. A final area of which lawyers interested in the drone space should be aware is the proliferation of state and local UAS laws and the role of federal preemption. Numerous states and localities have imposed or have attempted to impose UAS-specific laws, ranging from prohibiting conduct done via UAS that is already generally prohibited, such as stalking or delivering prison contraband, to prohibitions on flights over specific locations such as schools or city-owned property, to outright bans of UAS flights within a city. Although the FAA has acknowledged that states and localities have some role to play in this space, such as the regulation of takeoffs and landings and privacy regulation, the FAA remains the sole regulator of the safe navigation of aircraft in our nation’s airspace. Despite considerable state and local regulation of UAS that raises serious preemption concerns, there has not been much litigation so far in this area. One case has resulted in a court decision: in Singer v. Newton, a UAS hobbyist challenged an ordinance by the City of Newton, Massachusetts which imposed a series of restrictions on UAS flights within the city, including a prohibition on operating drones over any property in the City — public or private — without express permission of either the City or the property owner. In a win for the industry, the U.S. District Court for the District of Massachusetts invalidated this and other restrictions of the City’s ordinance, finding that these provisions were conflict preempted. Sara Baxenberg is an attorney at Wiley Rein LLP in Washington DC. Sara practices in the firm’s Telecommunications, Media, and Technology (TMT) group and is Lead Associate of the firm’s Unmanned Aircraft Systems practice. In that role, she serves as outside counsel to AUVSI on state and local as well as federal regulatory and legislative UAS issues. 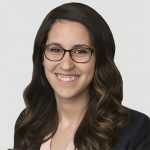 Sara also serves as Executive Editor of Wiley Rein’s Internet of Things blog, WileyConnect (wileyconnect.com), which offers fresh takes on regulatory issues related to emerging technologies, including UAS.